Solid Waste Planning Archives - R3 Consulting Group, Inc. Since 2016, R3 has been engaged by the County of Los Angeles (County) Department of Public Works to audit monthly facility and franchised hauler payments and tonnage reports required by the County. These audits are being conducted pursuant to Los Angeles County Code Chapter 20.88, which requires that all disposal sites, transfer/processing stations, or waste exporters in the County remit a fee based upon the tons or cubic yards of solid waste received, collected, conveyed, or hauled during a calendar month. Conducting all work necessary to the completion of the Findings Report for each verification and submits it to the County Contract Manager within 60 calendar days of each site visit. By working closely with the City and engaging its ratepayers through a robust community outreach process, the R3 Team will provide recommendations for improving the efficiency and effectiveness of its solid waste operations and determine rate adjustments that may be necessary to sustain the RRR Division’s activities for the next 10 years while supporting the City’s Zero Waste goals. Staffing, Routing and Vehicle Efficiency Analysis: The R3 Team is assessing the efficiency of the RRR Division’s operational aspects by reviewing staffing, routing, and vehicle information and reports, and conducting onsite visits and interviews of City staff and customers. This comprehensive review will include but is not limited to: analyzing the RRR Division’s organizational structure, management system, staffing practices and safety procedures; evaluating routing and schedule efficiency; and reviewing collection vehicle maintenance practices and procedures. 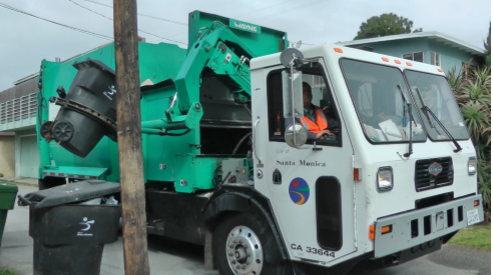 R3 will develop recommendations for the City to improve the long-term functionality, productivity, and safety of the RRR Division’s operations and management structure based on solid waste industry practices. Billing Audit: The R3 Team is determining if the City has been accurately billing all of its residential and commercial customers based on a paper review of billing records in the NorthStar customer billing system as compared to the City’s routing records. The RRR Division currently shares the NorthStar customer billing system, which was designed for the City’s Water Resources Department and provides combined bimonthly billing of water, sewer, and solid waste services. Since the technology was not specifically designed for the solid waste industry, it does not allow for routing solutions, route sheets, or expanded solid waste customer service information, and runs the inherent risk of producing customer billing errors. Technology and Systems Review: The R3 Team is evaluating the current technology system(s) in use by the City to identify and evaluate the costs, efficiency, and effectiveness of several operations systems enhancements, and to provide recommendations on whether the systems would be cost-effective and beneficial to the City. This review will include a comparison of the capabilities of the NorthStar systems to other billing and routing technology systems. Zero Waste Strategic Operations Plan Review and Update: The R3 Team is assisting the City in updating its 2014 Zero Waste Plan and recommending additional strategies to further the City’s progress towards its goal of achieving 95% diversion by 2030 in the event that current strategies are not sufficient, or if the Zero Waste goal is determined to no longer be realistic for the City. For this task, R3 is taking a data-driven approach to assessing the City’s progress toward achieving its Zero Waste goals by using multiple metrics including, but not limited to: tonnage of waste disposed and diverted; the diversion rate; total pounds per person per day (PPD) and CalRecycle diversion rate equivalent; estimated greenhouse gas emission reductions; customer participation; and AB 341 and 1826 commercial recycling compliance. Based on these metrics, the R3 Team will project Citywide disposal through 2030 to determine if the City is on track to meet its 95% diversion goal and recommend strategies to enhance the effectiveness of current programs or implement new programs that will increase diversion in a cost-effective manner. For each Zero Waste strategy recommendation, the R3 Team will provide the City with an analysis of estimated additional diversion and implementation costs. Rate Study and Rate Model: The R3 Team is determining the sustainability of the City’s current rate structure to continue supporting solid waste operations without depleting the City’s RRR Enterprise Fund, which receives 90% of its revenue from solid waste operations. The R3 Team is conducting a comprehensive analysis of the Fund’s financial forecast, revenues, and expenditures for solid waste and recycling operations over a 10-year planning period and assisting the City in transitioning from line-item to program-based budgeting. For this task, the R3 Team is developing an Excel-based Rate Model for use by the City to project revenues and expenses, and evaluate current and future rate-adjustment options, including cost-of-service rate options, over an extended planning period. R3 is also conducting a Benchmarking Survey of solid waste rates and service of (a minimum of five) comparable communities, including analysis of how other municipalities have managed the financial impact of Proposition 218. Community Engagement Plan: As part of this engagement, the R3 Team is also developing a Community Engagement Plan and outreach materials for the Zero Waste Plan and Rate Study Model. The objective is to provide opportunities for residents and businesses to learn about and provide meaningful feedback on changes to the City’s Zero Waste Plan and rate structure to ensure that both meet the needs of the City and its ratepayers. Community engagement process for residents and businesses to learn about and provide feedback on changes to the City’s Zero Waste Plan and rate structure. R3 was engaged by the Sonoma County Waste Management Agency (SCWMA) to provide a Comprehensive Guide and Training for SCWMA staff, Member Agency staff and Board members. R3’s primary objective was to present SCWMA and its Member Agencies with the information needed to effectively perform contract management functions and navigate the complex solid waste system as it evolves in Sonoma County, including the potential future shift of recyclable material processing capacity, and the ongoing arrangements around organic waste processing facilitated by SCWMA. Described opportunities and innovations that may be available to Member Agencies and the SCWMA in the future. R3’s second task was to facilitate a Solid Waste 101 Training Session for Sonoma County decision makers that presented the information provided in the Comprehensive Guide in an interactive format, and provide a round-table discussion opportunity to address questions and provide solutions to Member Agencies. An update-able resource for decision makers in Sonoma County to gain a thorough understanding of the current waste management system, the contractual relationships involved both broadly and for their Member Agencies, and how the system might change in the future.